Customer Service - of all the things we do, this is the most important. For each and every job we do, we want our customers to feel pleased with the task they have employed us to do and that they have had excellent value for money. The concept behind Pest ID is to be a truly local Pest Control firm - supporting the local consumer and business community. By not stretching ourselves too far afield, we can provide the highest possible levels of service with the fastest achievable response times. 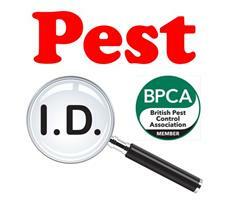 Pest ID are full members of the BPCA (British Pest Control Association) and we are very proud of our CEPA Certification accreditation, which means that we are competent enough to compete with the big nationals, yet still be able to offer a personalised service that larger companies simply cannot offer. At the time of writing, there are only four other independents in Essex who have achieved this accreditation. Recent changes in legislation combined with new industry best codes of practice have meant significant changes in the way pest controllers should approach their work, with prevention and management of environments becoming more important than ever. No longer is the emphasis on killing and saturation poisoning, where possible we choose to use more subtle, yet just as effective methods that are kinder to the environment and more humane to the target creatures we aim to get eradicated from our clients properties. Our years of experience have taught us just how important the customer is, how hard it is to win their trust and more importantly how vital it is to keep them. We genuinely take every step possible to keep our clients satisfied, which regularly leads to referrals and repeat business. So if you come on board as a new client, please share your experiences with others and help me achieve our goal of being the premier Pest Control Business in the area.